Home > Untagged Dont try and flip that 2009 GT-R. 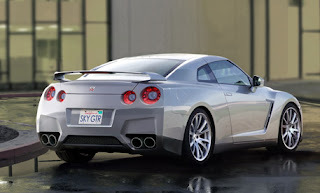 According to Jan Thompson, Nissan's vice president of marketing, in an effort to prevent buyers from selling their dealer-purchased Skyline GT-R immediately for a profit, Nissan is considering voiding the Skyline's warranty for the second buyer if the transaction takes place less than one year after the initial purchase. So don't go flipping your GT-R for profit....although the people buying them probably wouldn't care that much anyway. They will be doing plenty of other stuff to void the warranty.